Democrats in Congress slammed President Donald Trump on Tuesday for targeting “ridiculous partisan investigations” at the top of his State of the Union speech. Trump made the comment while commending his administration for the current “economic miracle” taking place in the country, but he singled out the “foolish” investigations as a possible threat. Trump did not mention special counsel Robert Mueller’s ongoing probe into Russian interference in the 2016 presidential election, but some Congressional Democrats saw the comment as an attempt to undermine Mueller’s probe. 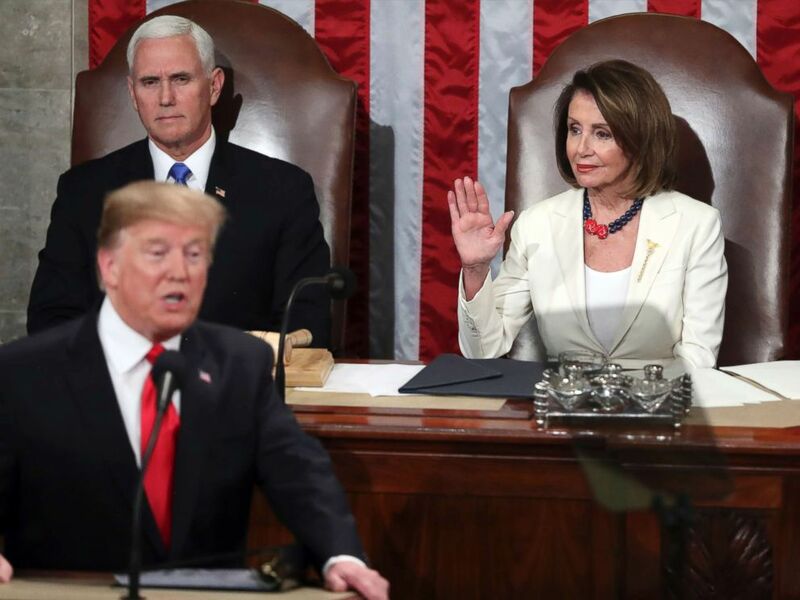 Speaker of the House Nancy Pelosi raises her hand in a gesture to quiet the Democrats as President Donald Trump delivers his State of the Union address to a joint session of Congress on Capitol Hill in Washington, Feb. 5, 2019. The President should not be attempting to undermine the Special Counsel’s investigation during the #SOTU. Mueller’s investigation must be allowed to continue without obstruction. Rep. Steve Cohen (D-Tenn.) made a similar point on Twitter, noting the newly-launched investigations against Trump-related entities this week. “Not partisan investigations. It’s #Mueller , a Republican, the southern district of New York, Republican, [and eastern] district of Virginia, Republican. #TrumpRussia #TrumpLies,” Cohen, chairman of the House Judiciary Subcommittee, tweeted. 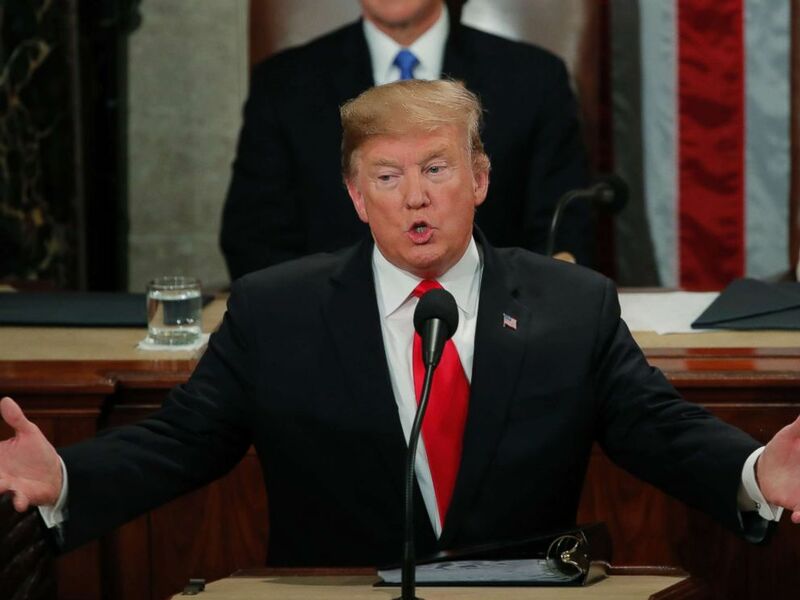 President Donald Trump delivers his State of the Union address to a joint session of Congress on Capitol Hill in Washington, Feb. 5, 2019. Prosecutors in New York’s Southern District subpoenaed documents from President Donald Trump’s inauguration committee earlier this week, sources with knowledge of the matter told ABC News. Other lawmakers, including Rep. Donald Payne Jr. (D-N.J.), and Rep. Lois Frankel (D-Fla), also slammed the president over the comment. “Protecting the Mueller investigation is a bipartisan issue. We will protect the investigation so truth can come to light,” Payne tweeted. “There’s nothing ridiculous about investigating crimes, Mr. President. No one, not even you, is above the law. Mueller’s investigation must be completed without obstruction. Every American deserves the truth,” Frankel added. Rep. Ben Ray Lujan, D-N.M.
It’s unfortunate that the commander-in-chief did not use tonight as an opportunity to change course or deliver a positive and inclusive message that moves us forward as a nation. Stacey Abrams achieved in a matter of minutes something Donald Trump failed to do in over an hour — to embrace and give voice to the spirit and core values that make America great.